Well today was a day for the books. It started off right when I got to work this morning. I got a call from my dad and he told me he was in an accident in front of our house. He said he was fine, but if I could come home. I left work in a hurry (2nd time I’ve gotten an urgent call like that I work) and drove to our house. We only live about 8 minutes away, so I got there pretty quick. The first things I see when I turn on the bend are sheriff trucks, a fire truck, an ambulance and my dad sitting in the back of his truck, which is on the ditch across the street from our house. My heart stopped for a second there. I pulled in front if our house and crossed the street to talk with him. He was fine, no injuries, but his Chevrolet Silverado, well she was toast! After telling my dad he needed to go to the hospital, we headed there. We were there for about 2 hours until they released him. The said he’s fine, but he’ll be pretty sore these next couple of days. 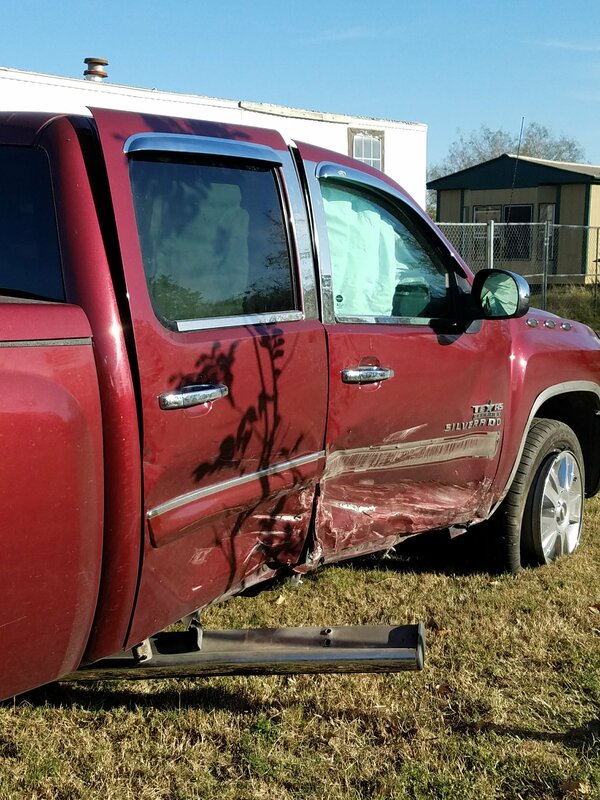 The truck can be replaced, my dad cannot. So he had some angels watching over him this morning. Thanks Mom and Joe. After that, I went to work for a couple of hours. I needed to get my head thinking of something else. And someone was taking care of my dad. 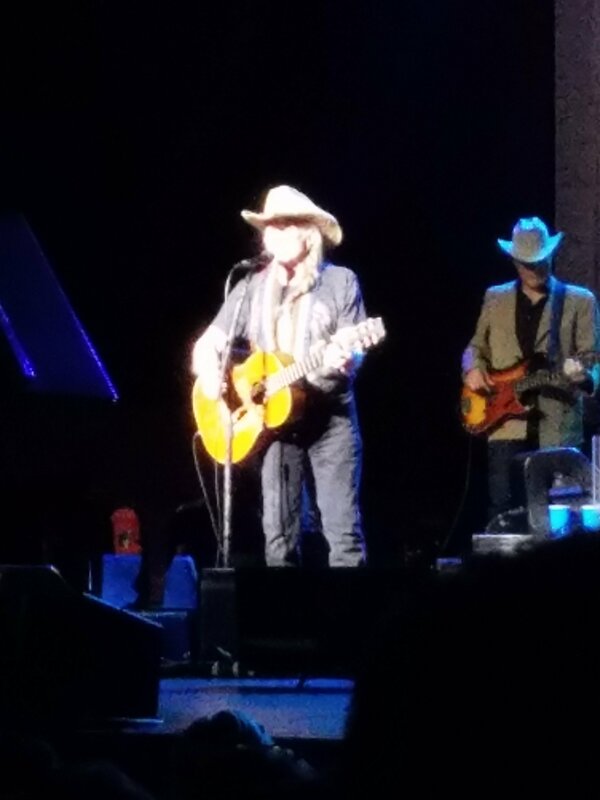 After working for a couple of hours, I went to see Willie Nelson in concert. There was no way I could get out of using the ticket. So I went. 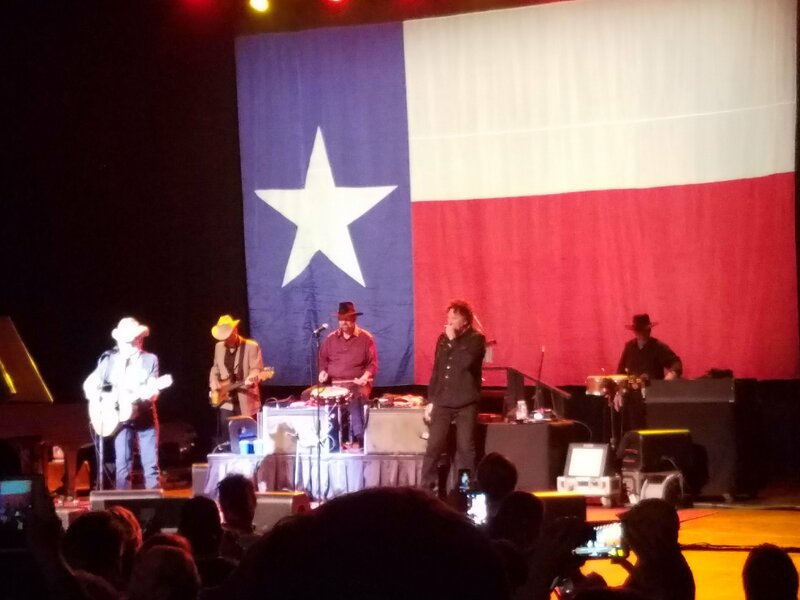 Willie Nelson put on an amazing show. Love his songs, but I’ve got to say, his guitar playing leaves you breathless. When he sang “Angels Flying Too Close To The Ground”, I had a tear in my eye. I love that song. And today it had more meaning to me. So now, its the end if the day. I’m tired, more mentally than physically. Just when you are doing good and finally heading the right directions… BAM! Life hits you right in your face. But I’m going to say my prayers and give thanks. And say… What a next?